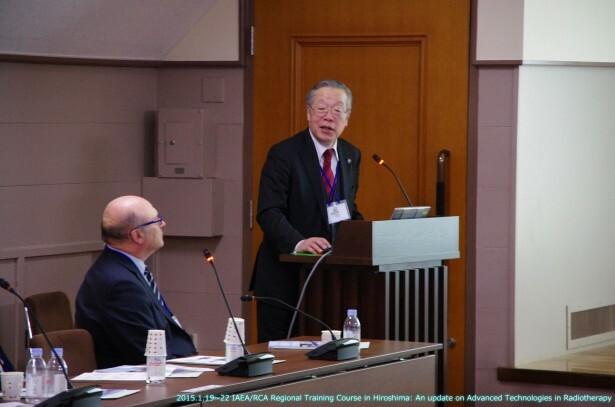 As an IAEA Collaborating Centre (designated in 2014), HICARE has cooperated closely with IAEA for the purpose of fostering cooperation in human resource development and joint research in the field of medical care of the radiation-exposed. 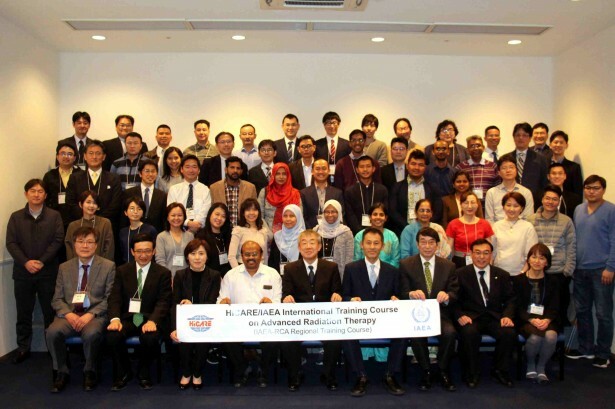 As of August 2017, HICARE and IAEA signed the agreement concerning the re-designation of HICARE as an IAEA Collaborating Centre and based on this agreement HICARE dispatched a medical student to IAEA as an intern, which is the sixth case that HICARE sends an intern to IAEA. 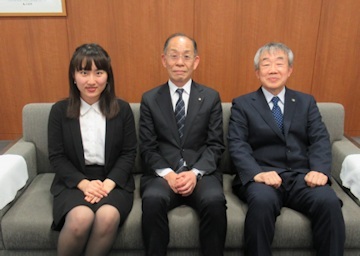 Ms. Ono (left) and her instructor, Professor Nagata (right) made a courtesy visit to Vice-Governor Tanabe (center). 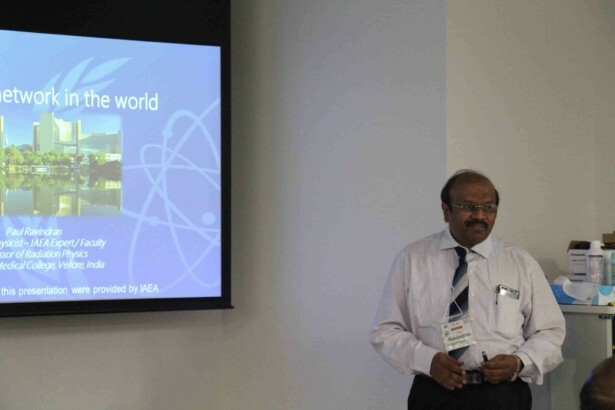 To develop human resources involved in advanced cancer treatment in the Asia-Pacific Region by updating the knowledge and providing a comprehensive understanding of the clinical applications of advanced radiation therapy technology. 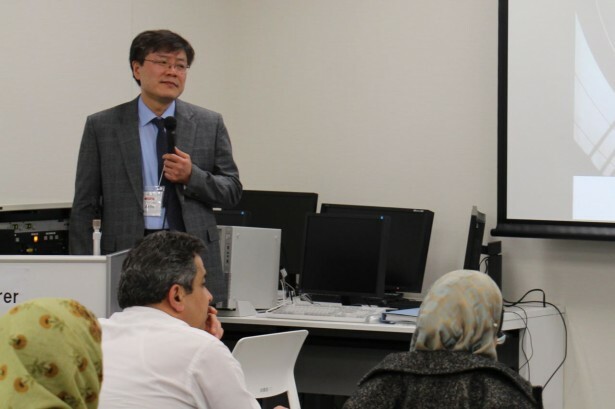 As an IAEA Collaborating Centre (designated in 2014), HICARE has cooperated closely with IAEA for the purpose of fostering cooperation in human resource development and joint research in the field of medical care of the radiation-exposed. 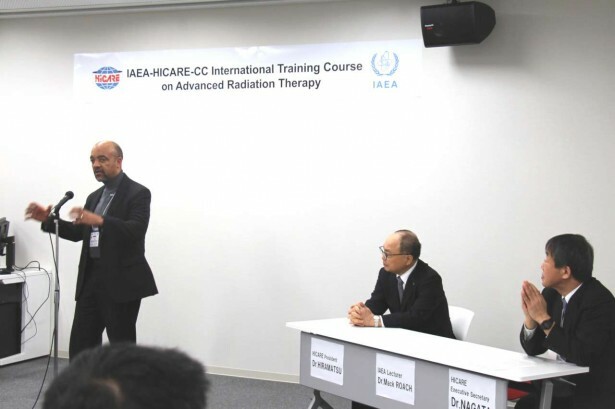 As of August 2017, HICARE and IAEA signed the agreement concerning the re-designation of HICARE as an IAEA Collaborating Centre and based on this agreement HICARE dispatched a medical student to IAEA as an intern, which is the fifth case that HICARE sends an intern to IAEA. 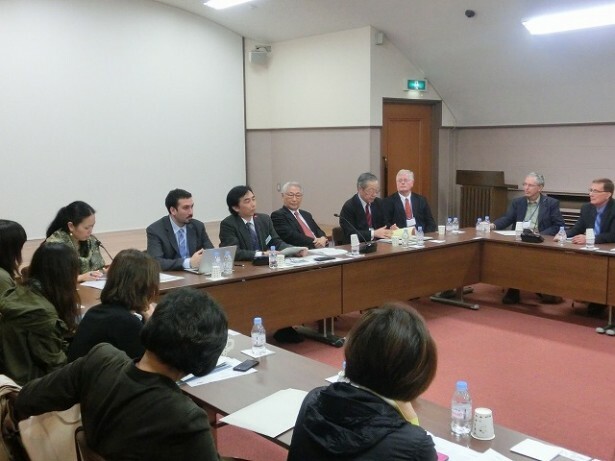 Mr. Yorichika (center) and her instructor, Professor Nagata (right) made a courtesy visit to Vice-Governor Tanabe (center). 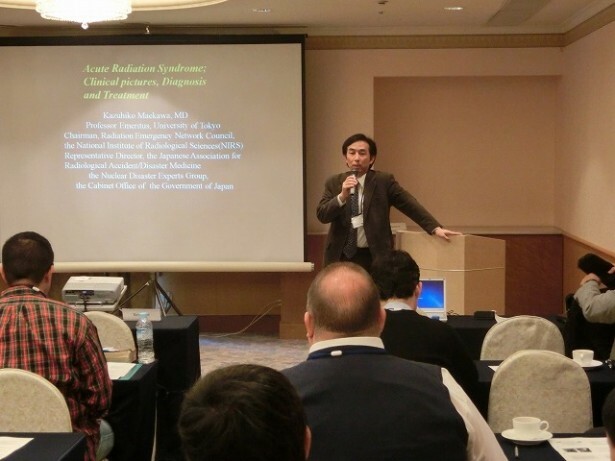 To foster medical professionals who can respond to radiation accidents and disasters, lectures on basics of medical response to radiation accidents and disasters, lessons learned from Fukushima Daiichi Nuclear Power Plant Accident, measurement of internal / external dosimetry and emergency room management of Radiation-Nuclear patients as well as practical trainings were provided by the specialists in Japan and from overseas. 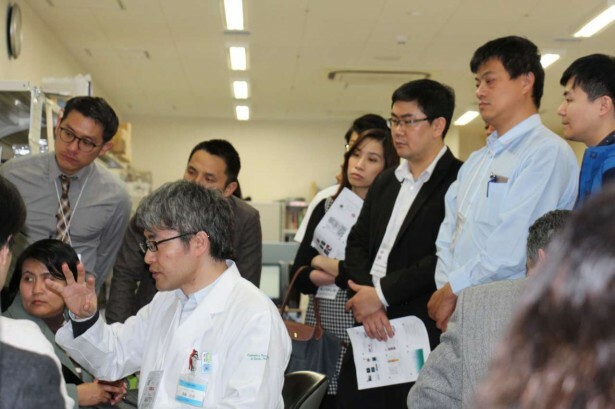 As an IAEA Collaborating Centre (designated in 2014), HICARE has cooperated closely with IAEA for the purpose of fostering cooperation in human resource development and joint research in the field of medical care of the radiation-exposed. 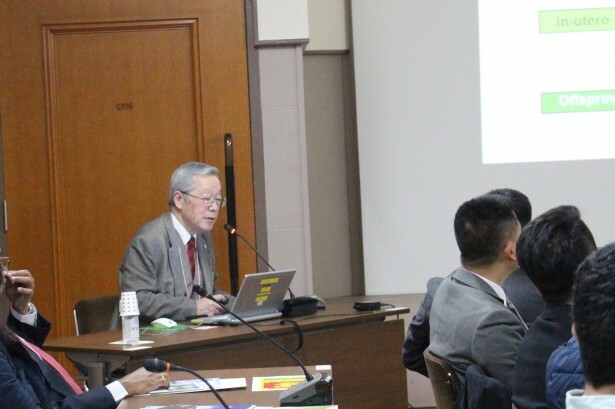 As of August 2017, HICARE and IAEA signed the agreement concerning the re-designation of HICARE as an IAEA Collaborating Centre and based on this agreement HICARE dispatched a medical student to IAEA as an intern, which is the fourth case that HICARE sends an intern to IAEA. 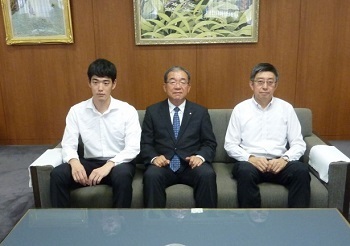 Mr. Hirata (left) and his instructor, Professor Sakaguchi (right) made a courtesy visit to Vice Governer, Mr. Takagaki (center). 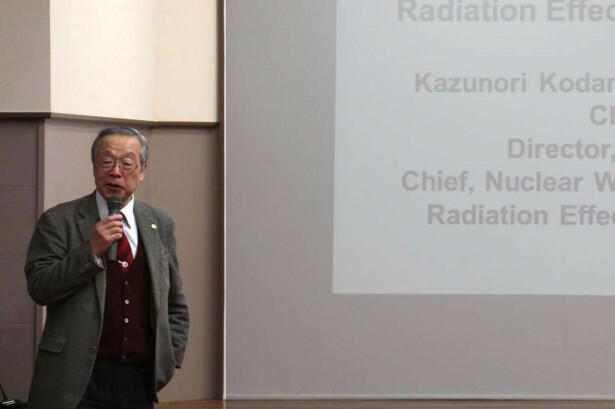 To update the knowledge of radiation oncologists in advanced radiation therapy technology and to provide radiation oncologists with a comprehensive understanding of the clinical applications of advanced radiation therapy technology. 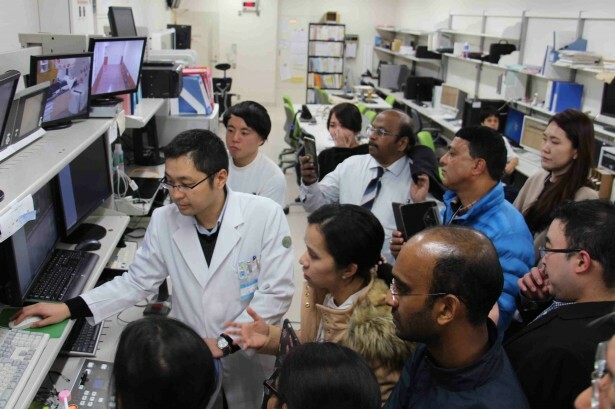 As an IAEA Collaborating Centre (designated in 2014), HICARE has cooperated closely with IAEA for the purpose of fostering cooperation in human resource development and joint research in the field of medical care of the radiation-exposed. 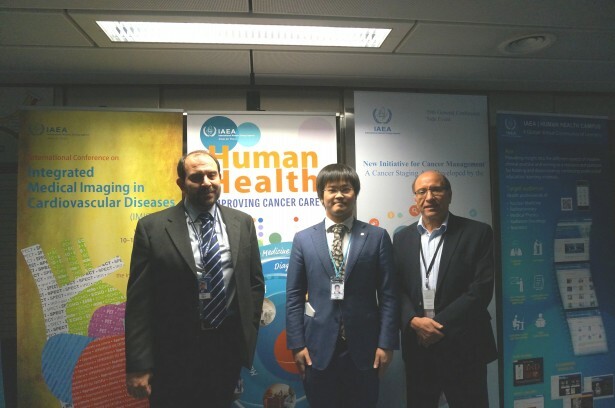 HICARE dispatched a medical student to IAEA as an intern, which is the third time to send a medical student to IAEA. 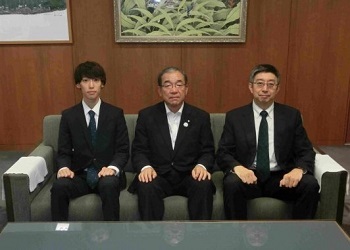 Mr. Hisatomi (left) and his instructor, Professor Sakaguchi (right) made a courtesy visit to Vice Governer, Mr. Takagaki (center). 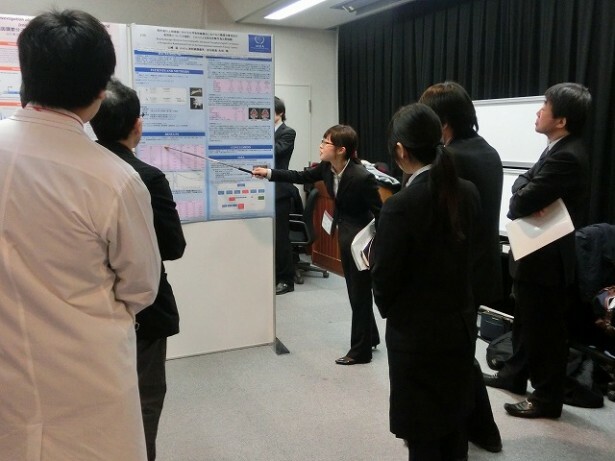 Under the Practical Arrangement of HICARE and IAEA with the objectives for fostering cooperation in human resource development and joint research in the field of medical care of the radiation-exposed, this was the second time to send a medical student for such an internship after we dispatched one student, Ms. Yamazaki in 2013 for three months. 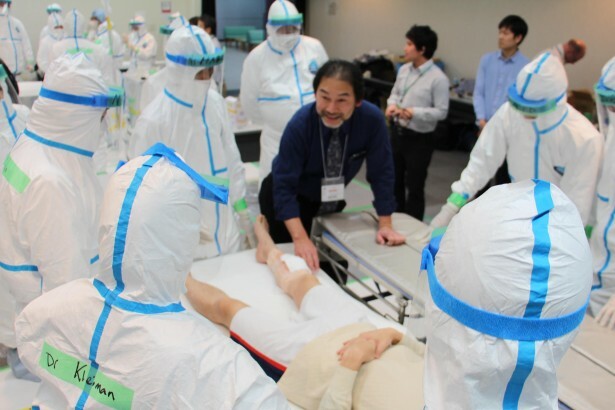 To train a future medical care provider with understanding of the significance and necessity of medical care for the radiation-exposed on the global scale, and have the persons succeed Hiroshima’s medical care expertise and research findings on A-bomb survivors, HICARE dispatched a medical student to the IAEA. 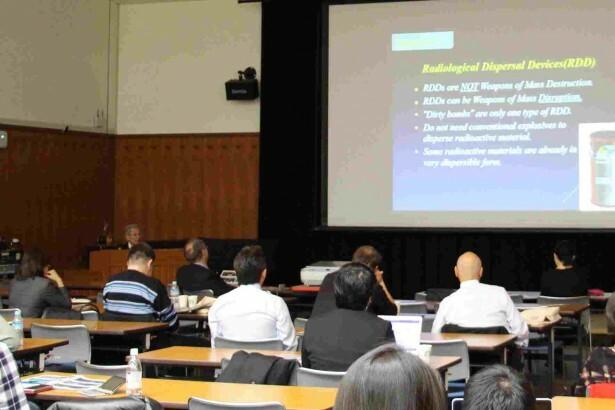 Department of Nuclear Sciences and Applications, Division of Human Health, Dosimetry and Medical Radiation Physics (DMRP). 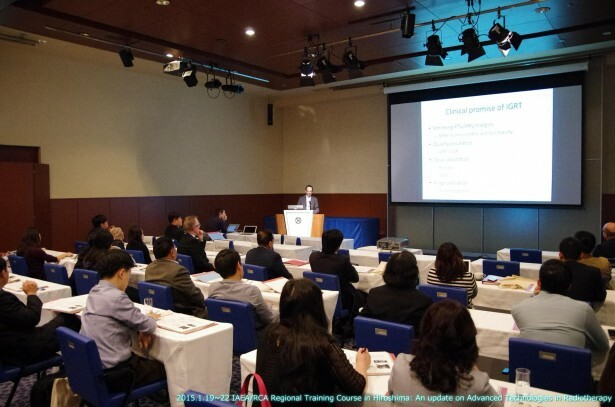 To provide the training course of advanced radiotherapy to medical professionals from mainly Asian and Pacific countries, and to allow them to facilitate effective and safe radiotherapy to cancer patients in their own countries through the optimal utilization of modern radiotherapy technologies. 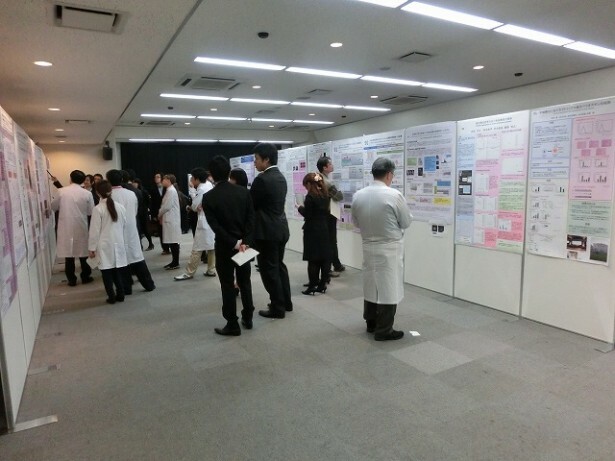 Ms. Yamazaki, a student in her senior year at Hiroshima University Faculty of Medicine returned to Japan after completing a three-month internship at IAEA - Human Health Division. 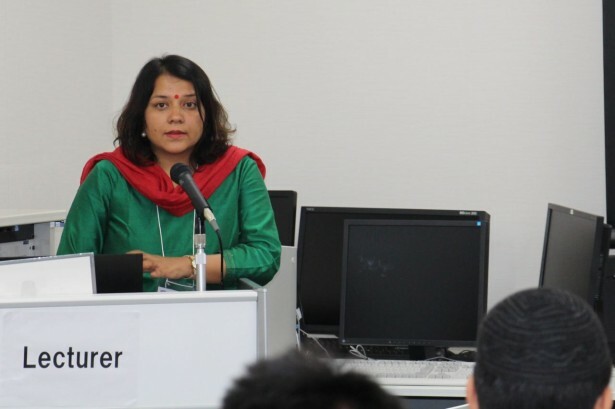 She made a presentation of her research findings (from the internship) at the “research intern meeting” held between January 29 and 30 at her university. 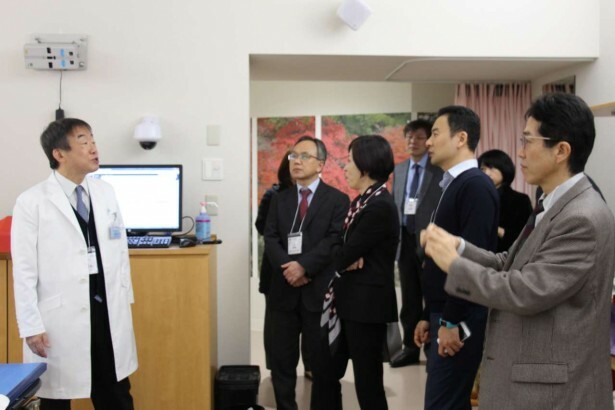 The title was “Brachytherapy Boost in Loco-regionally Advanced Nasopharyngeal Carcinoma; a Prospective Randomized Trial of the International Atomic Energy Agency”. 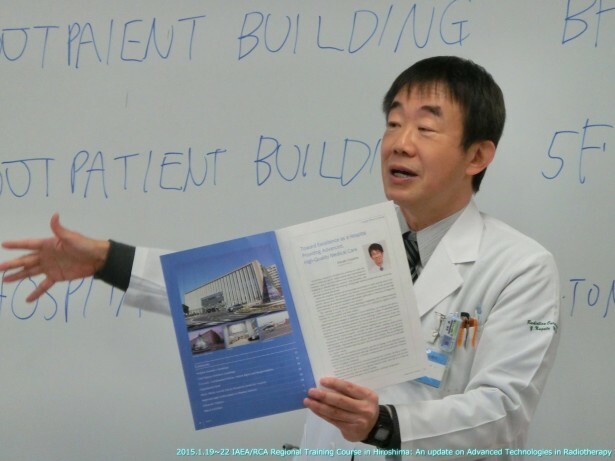 To train a future medical care provider with understanding of the significance and necessity of medical care for the radiation-exposed on the global scale, and have the person succeed Hiroshima’s medical care expertise and research findings on A-bomb survivors, HICARE dispatched a medical student to the IAEA for a 3 month internship. 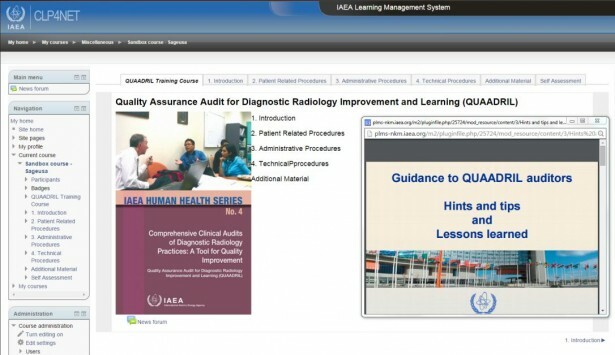 This was the first time for HICARE to send a trainee for such an internship. 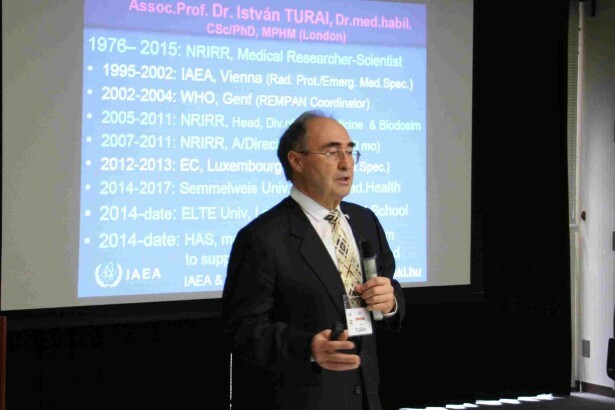 On August 6, 2010, HICARE and IAEA signed the Practical Arrangements with the objectives for fostering cooperation in human resource development and joint research in the field of medical care of the radiation-exposed. 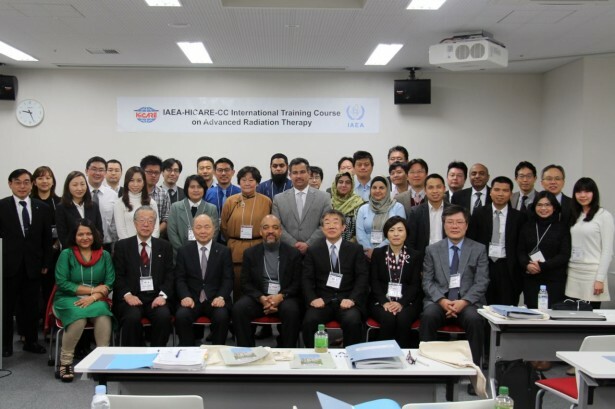 -HICARE and IAEA signed the Practical Arrangements on August 6, 2010, in the context of fostering cooperation in the field of medical management of radiation-exposed, through such activities as training and joint research. 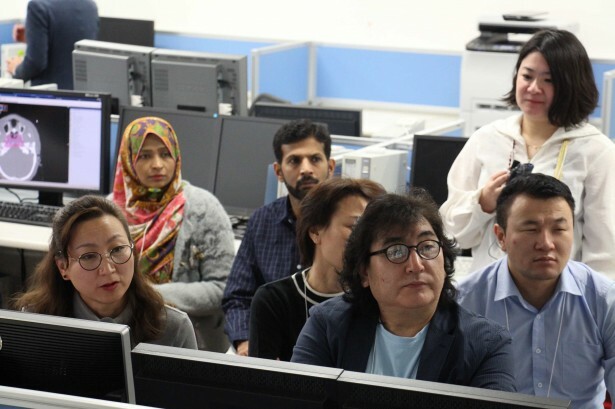 This workshop was held as one of the training projects. 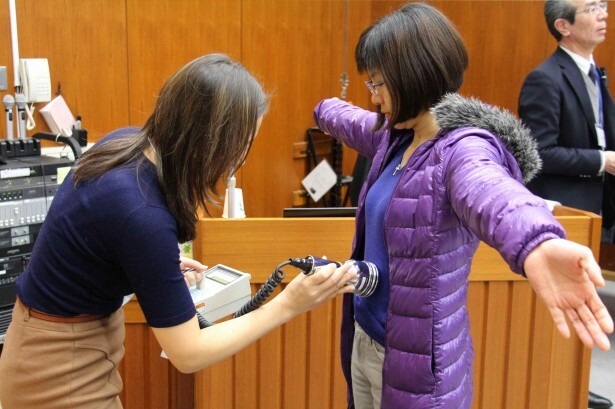 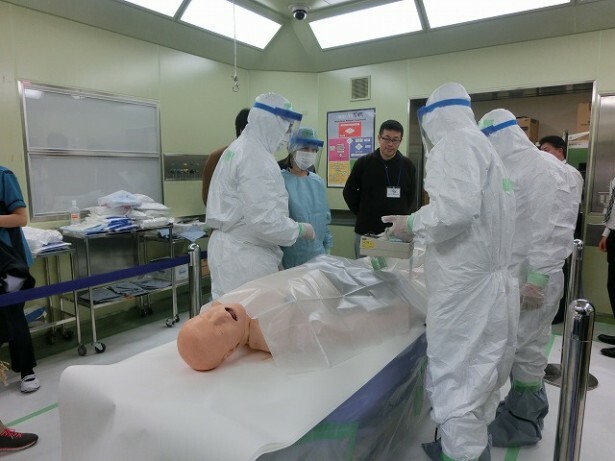 -To provide an opportunity for medical professionals in Japan and from overseas to learn practically and systematically about radiation accidents (including that of the Fukushima Nuclear Power Plant) in order to prepare for accidents and disasters involving radiation and radiological substances. 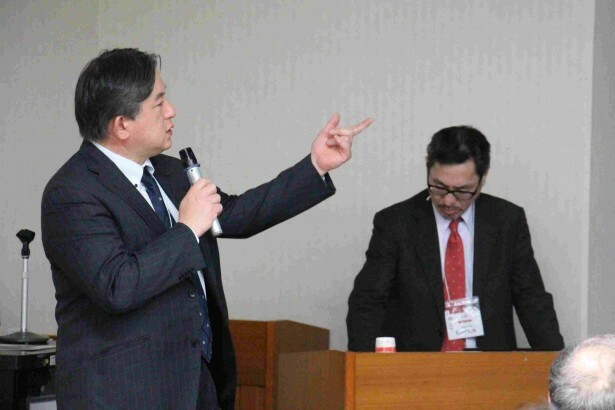 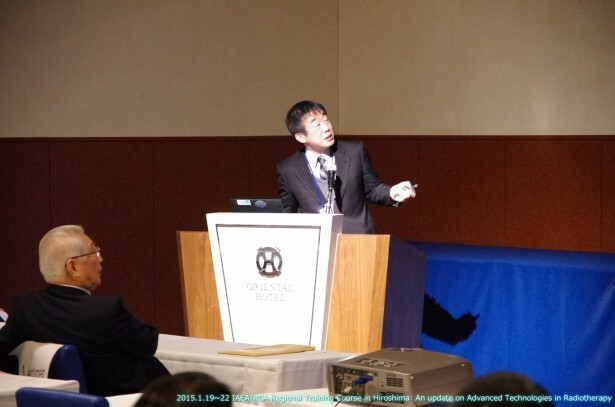 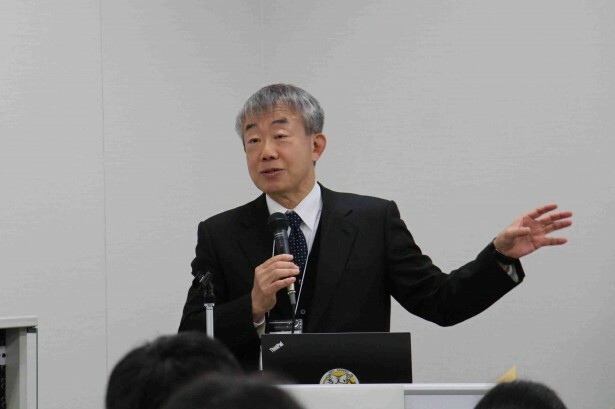 Dr. Koichi Tanigawa was dispatched to IEC as a lecturer. 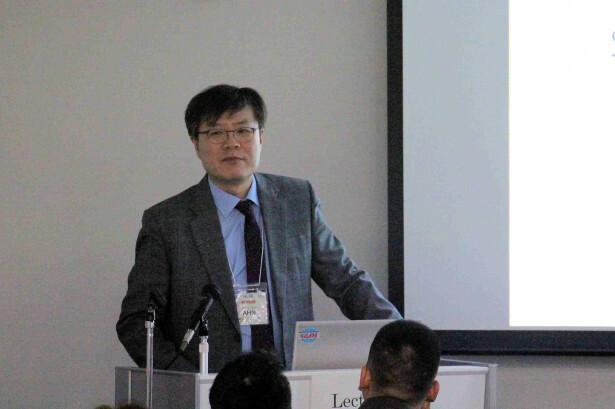 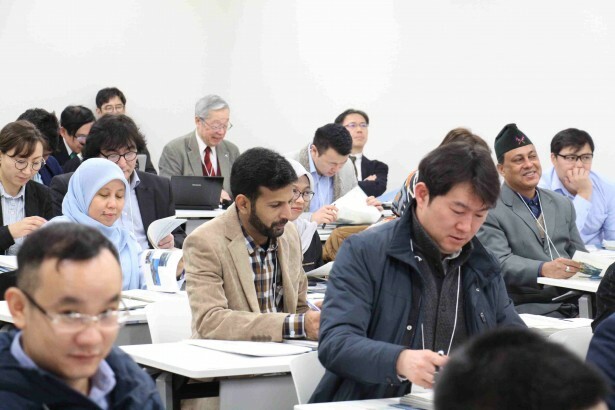 [Title] "Lessons learned from the Fukushima Daiichi Nuclear Power Plant Accident"
Dr. Tomoko Tamura, ECCM Assistant Professor, Hiroshima University Hospital, also participated in this course as observer. 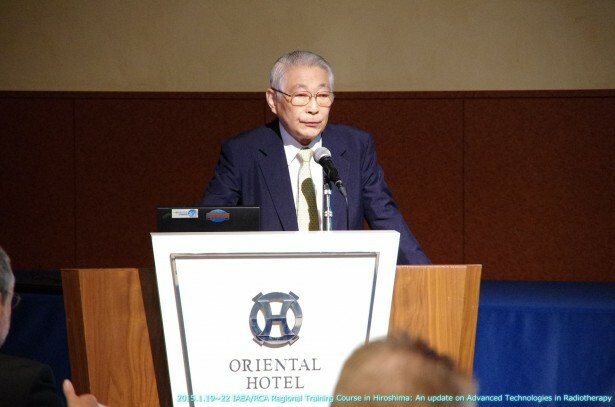 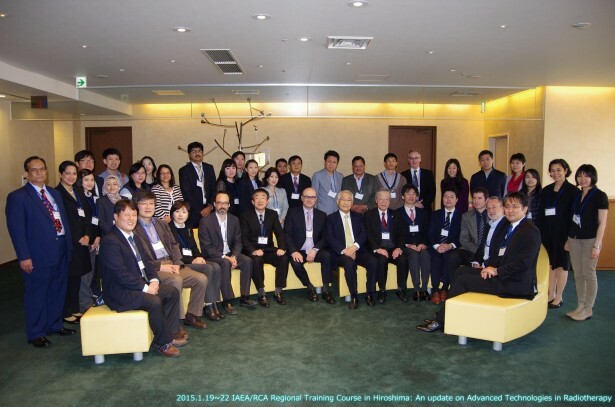 HICARE conducts a training program (every year) by accepting physicians, researchers, and other relevant technical workers involved in the medical care of radiation-exposed people in various areas of the world (See "Training"). 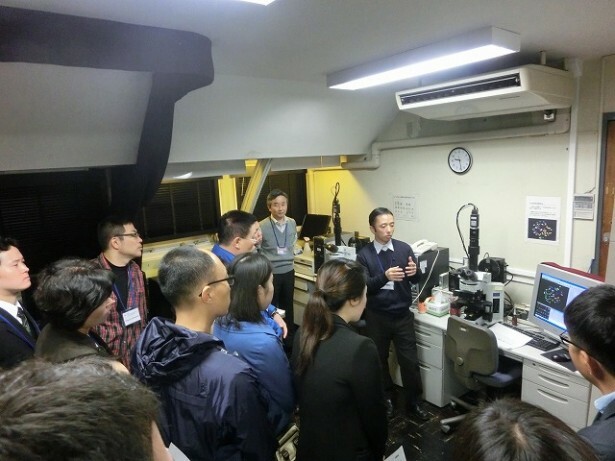 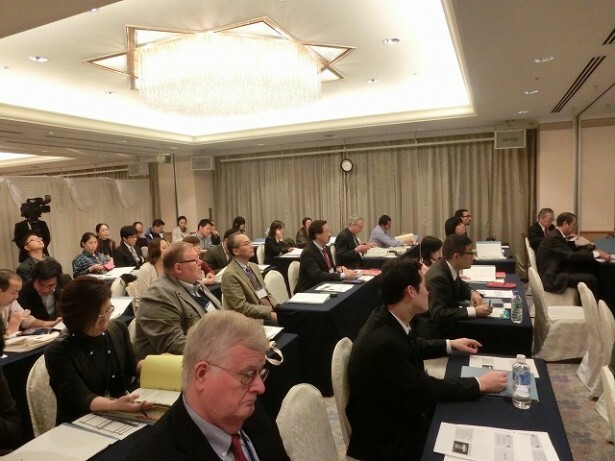 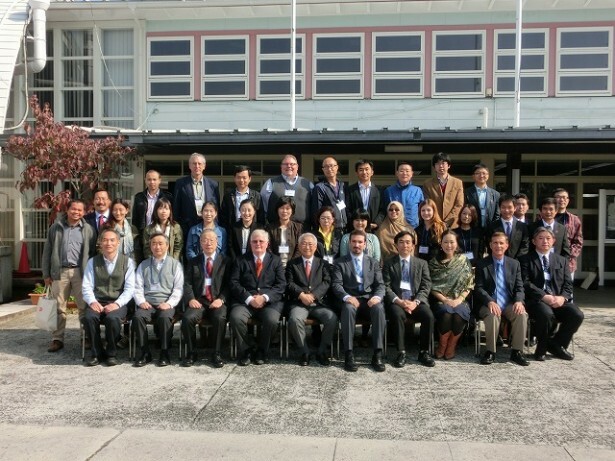 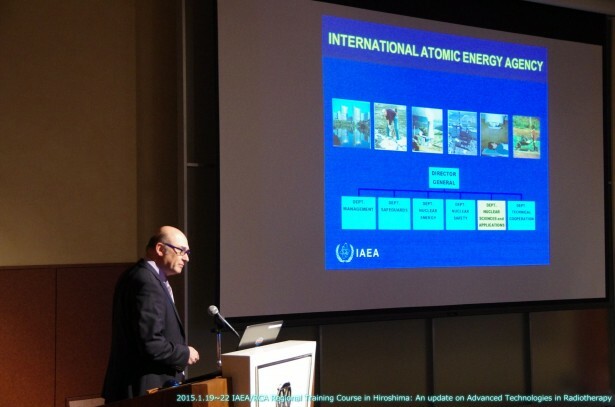 Doctors/Researchers selected by the IAEA have been participating in this program. 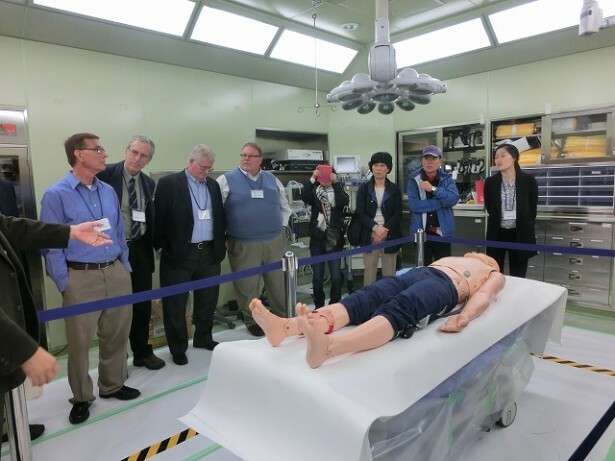 Trained at Radiation Effects Research Foundation / Advanced Emergency and Critical Care Center, Hiroshima University Hospital / Dept. 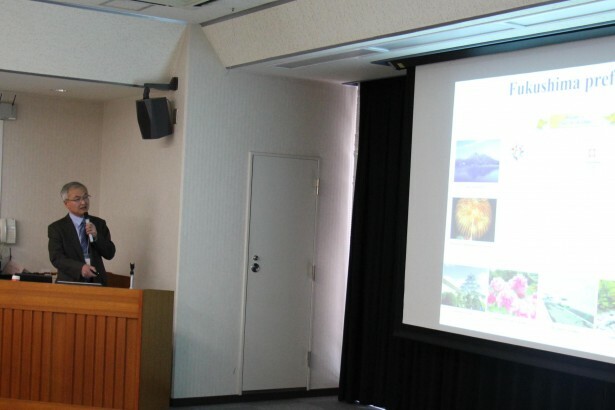 of Radiation Oncology, Hiroshima University Hospital / Hiroshima Atomic Bomb Casualty Council / Hiroshima Red Cross Hospital & Atomic-Bomb Survivors Hospital / Nursing Home for A-bomb Survivors "Kurakake Nozomi-En"
Visit Hiroshima Prefectural Government (HICARE Office), Hiroshima City Government, Hiroshima Peace Memorial Museum, etc.